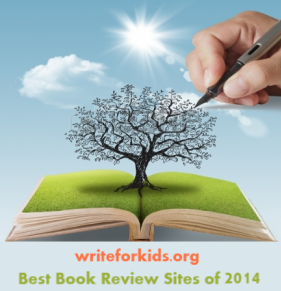 Note: Louise is writing all the reviews while Cathy is on sabbatical until February 2018. It is hard to imagine, in this world of information overload, that there still could be an animal species undiscovered. Yet, that is exactly what happened in 2013 from the auditorium at the Smithsonian National Museum of Natural History in Washington, D.C. Kristofer Helgen, a scientist at the museum in charge of their collection of mammals, made the exciting announcement that they had found a new animal. The first new species discovered in thirty-five years. Facts about this new species and just exactly how Helgen went about tracking it down is the subject of this riveting science book. Full of color photographs that are well-captioned, Markle’s book is perfect for budding scientists. Purchase a copy for your library to find out more about this thrilling science adventure. Back matter includes an author’s note, source notes, a glossary, ways to find out more information about cloud forests, index. 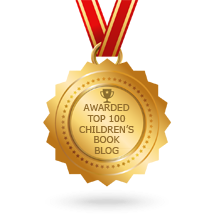 Sandra Markle has written numerous award winning books for children. Thanks, Louise! 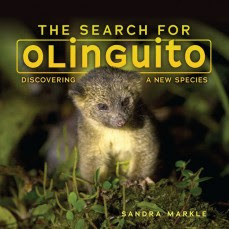 Looking forward to reading this one, since I've read Lulu Delacre's ABC Olinguito book, and I am a fan of Sandra Markle's body of work. Markle is an impressive author. As are you!